Even with a massive regulatory fine on the horizon, analysts remain bullish on the social network’s long-term prospects. Facebook copied the idea and is running away with it. Kenny Mitchell, a veteran marketing executive who has worked for McDonald’s, Gatorade, NASCAR and NBC Sports Group, will assume the post in June. 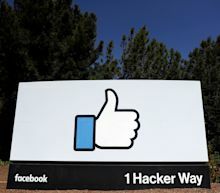 Facebook (FB) shares soared through morning trading Thursday after the company reported stronger-than-expected revenue results and helped prove to Wall Street that privacy worries are overblown. So, is now the time to buy Facebook stock? Mitchell, scheduled to start with Snap in June, will lead all consumer and product marketing programs, the company said in a statement Thursday. The Santa Monica-based company is still searching for a new finance chief following the departure of Tim Stone earlier this year after only eight months on the job. Prior to his role at McDonald's, Mitchell served as head of consumer engagement at Gatorade. Mitchell, who will lead all consumer and product marketing programs at Snap, will also be part of its senior leadership team and report to Chief Executive Officer Evan Spiegel, the company said in a statement. The news comes days after Snap's first-quarter report that showed Snapchat users rose for the first time in three quarters, boosted by its original shows and a rebuilt Android app. Facebook disclosed that it set aside $3 billion related to an expected U.S. Federal Trade Commission crackdown on the company for violating promises to protect user privacy. The FTC inquiry, which is continuing, stemmed from the revelations last year that political consulting firm Cambridge Analytica tapped information on millions of Facebook users. U.S. stock futures are trading mixed this morning. Strong earnings reports out of the tech sector are buoying the Nasdaq-100 while dismal releases from industrials are weighing on the Dow Jones Industrial Average.Ahead of the bell, futures on the Dow Jones Industrial Average are down 0.26%, and S&P 500 futures are higher by 0.12%. Nasdaq-100 futures have added 0.37%.With the market rally resting yesterday, volumes receded in the options pit. Calls once again led the way showing a continuation in the complacency which has permeated the uptrend. Specifically, about 18.8 million calls and 14.7 million puts changed hands on the session.InvestorPlace - Stock Market News, Stock Advice & Trading TipsMeanwhile, the CBOE single-session equity put/call volume ratio remained as dull as ever by hovering near 0.60 yet again. The 10-day moving average shares the same level at 0.60.Options traders zeroed in on earnings reports yesterday from the following companies: Facebook (NASDAQ:FB), Snap (NYSE:SNAP) and AT&T (NYSE:T).Let's take a closer look: Facebook (FB)Facebook is flying high this morning following an earnings release that topped expectations. For the first quarter, the social media giant earned $1.89 per share on revenue of $15.08 billion. The street was expecting earnings of $1.63 on sales of $14.97.Buyers are swarming to drive FB stock up just shy of 9% premarket. The up-gap places it within striking distance of last year's $218.62 high. As far as the price trend goes, it was bullish heading into earnings and will be even more so coming out of it. * The 10 Best Cheap Stocks to Buy Right Now On the options trading front, traders favored calls on the session. Activity swelled to 223% of the average daily volume, with 534,627 total contracts traded; 63% of the trading came from call options.Option premiums were baking in a 5.3% move post-earnings, so this morning's 9% surge lands well outside of expectations and will bring big profits to traders holding long volatility trades like straddles into the event. AT&T (T)AT&T's budding 2019 recovery came to an abrupt end yesterday after the company failed to impress investors with its first-quarter performance. The telecom titan raked in 86 cents in adjusted earnings-per-share which matched analyst forecasts. Revenue came in light, however, at $44.8 billion. The FactSet consensus was targeting $45.1 billion.By day's end, T stock had fallen 4.1% amid heavy profit-taking. The descent takes AT&T shares back below all major moving averages and places it on precarious footing. Until buyers can right the ship, I suggest steering clear of bullish plays.On the options trading front, calls won the popularity contest despite Wednesday's drubbing. Activity lifted to 290% of the average daily volume, with 276,180 total contracts traded. Calls claimed 61% of the take.Ahead of the number, options were pricing in a 3.4% move. That makes the 4.1% whack only slightly outside of expectations and likely means neither volatility buyers or sellers ahead of the release are leaving victorious. Snap (SNAP)Volatility seized Snap shares after the Snapchat parent reported earnings. The initial up gap was immediately rejected amid massive selling pressure that sent the stock skidding on the day. By the closing bell, SNAP stock was down 6.1%.The nasty bearish engulfing candle is jeopardizing this year's uptrend. Support is holding for now, but a breakdown remains a whisper away. Watch the 50-day moving average at $10.64 for your tell. If SNAP falls below it, watch out below.On the options trading front, calls outpaced puts by a modest margin. Total activity ramped to 308% of the average daily volume, with 364,703 contracts traded. The ratio of calls to puts was 62% vs. 38%.Implied volatility deflated throughout the day to end at 55% and places it at the 27th percentile of its one-year range. Premiums are now baking in daily moves of 39 cents or 3.5%.As of this writing, Tyler Craig didn't hold a position in any of the aforementioned securities. Check out his recently released Bear Market Survival Guide to learn how to defend your portfolio against market volatility. More From InvestorPlace * 2 Toxic Pot Stocks You Should Avoid * 7 Dividend Stocks That Could Double Over the Next Five Years * 6 S&P 500 Stocks Ready to Break Out * 5 Mining ETFs to Dig Into Compare Brokers The post Thursday's Vital Data: Facebook, AT&T and Snap appeared first on InvestorPlace. The social media ETF sees good start to the earnings season on solid Twitter and Facebook results. The momentum might not stay till the end of the reporting cycle. Did Instagram’s Password Leak Affect Facebook Users? Snapchat's efforts to squeeze out more revenues per user with more ads and features are working. Shares of Snap (NYSE:SNAP) initially popped more than 10% in after-hours trade after the social media company reported better-than-expected first quarter numbers in late April. But, the rally didn't last. By the time the conference call rolled around, Snap stock had given up most of its after-hours gains. The next day, SNAP stock fell into the red by more than 5%. A 10% gain turned into a 5% loss, all in the matter of less than 24 hours following its Q1 earnings report.Source: Shutterstock Why the big reversal? The numbers beat expectations, so you had an initial surge of buyer enthusiasm. But, they weren't good enough to justify the huge year-to-date rally in the stock, so as investors took a closer look at those numbers and saw some red flags, the selling ensued.Those red flags include a user base that's stalled out, revenue growth that isn't too impressive and is projected to slow, a demographic reach that's too narrow to justify huge value add in the long run, and a P&L that's still littered in red. Broadly speaking, that's simply too many red flags for a stock that's trading at over 10-times this year's sales estimates.InvestorPlace - Stock Market News, Stock Advice & Trading Tips * 10 High-Yielding Dividend Stocks That Won't Wilt Consequently, the big takeaway here is that the Q1 earnings report confirms that Snap stock is a tough buy above $10. Because of this, the current SNAP sell-off will likely persist until the shares normalize to more reasonable valuation levels. Q1 Earnings Confirm Growth ConcernsTo be sure, Snap did beat on all the important metrics. Revenues topped expectations. The company added more users than expected. Net loss per share was narrower than expected. Average revenue per user, or ARPU, came in above expectations.But, that doesn't mean much. Snap beat sell-side estimates, sure, but the sell-side consensus price target on Snap stock is below $10. Thus, Snap topped estimates from analysts who believe the stock's forward 12-month price target is 15% below the current market value. As such, in order to get a pop in Snap stock, the company needed to smash sell-side estimates, and they didn't do that.Instead, the beats were narrow, and the trends confirmed that Snap still has a few major growth problems to deal with. Namely: * The user base is stalled out. Snap added 4 million users in the quarter, but the user base is still smaller than it was a year ago, and appears to be stagnating in the 190 million to 200 million range. * Revenue growth is slowing. Sales rose 39% in the quarter. That's down from 54% growth in the year ago quarter. Next quarter, revenue growth is projected to slow to under 33%. By comparison, the much-bigger Facebook (NASDAQ:FB) is growing at roughly the same rate (30% revenue growth last quarter). * Narrow reach implies medium-term value cap. Snap is touting its ability to reach 75% of Americans between the ages of 13-34, but that simultaneously implies exceptionally limited reach outside of that demographic, and the big spenders in the U.S. economy are outside of that demographic. * The company is still running huge losses. Although gross margins are improving and opex rates are falling, Snap is still running huge losses amid slowing revenue growth, and that's not a great combo since the company needs huge revenue growth to drive sufficient opex leverage to produce profits.Overall, then, Snap's quarter wasn't great. Sure, the company beat depressed sell-side estimates. But, the report didn't assuage going concerns related to stalled out user growth, slowing revenue growth, and profitability. Snap Stock Is A Tough Buy North Of $10According to my numbers, Snap stock is simply overvalued above $10 at this point in time.Snap's user base currently hovers around 190 million. It has hovered around that number for several quarters now, importantly ever since the widespread launch of Instagram Stories and WhatsApp Status. It increasingly appears that competitive dynamics have put a lid on Snap's user base. Ultimately, this user base likely won't get much bigger than 200 million users in the long run. * 10 Stocks to Sell Before They Give Back 2019 Gains Quarterly ARPU was $1.68 last quarter. That's fairly low. At Facebook, ARPU exceeded $10 last quarter, but that number is skewed because it includes Instagram revenue in the numerator but not Instagram users in the denominator. Still, over at Twitter (NYSE:TWTR), quarterly ARPU was around $6 last quarter, and that number appears close to maxing out as it was up just 6% year-over-year.The bull thesis is for Snap's ARPU to hit and exceed $6 in the long run. But, that won't happen. Snap's cohort of under-34-year-old's spend -- on average -- is 25% less than the average American. So, from an expenditures viewpoint, each user on Snap is arguably 25% less valuable than each user on social media platform with normal demographics, like Twitter. At scale, then, Snap's ARPU likely won't ever hit $6 given its focus on a low-income, low-spend group. Instead, it will probably max out around $5.Assuming so, and that gross margins scale towards 80% while the opex rate falls towards 30%, then I think Snap can reasonably do about $0.70 in earnings per share by fiscal 2025. Based on a digital ad average 25 forward multiple, that implies a reasonable 2024 price target for Snap stock of $17.50. Discounted back by 10% per year, that equates to a fiscal 2019 price target of just under $11.Considering we are just one quarter into fiscal 2019, Snap stock is a tough buy above $10. Bottom Line on SNAP StockHeading into the first quarter print, Snap stock was slightly overvalued and due for a pullback. Now, that pullback is happening. It will continue for the foreseeable future, because shares remain richly valued and the fundamentals remain challenged. Fundamental support will kick in around $10. Until then, I'm not interested in buying the dip and adopting my own take on the trending Snapchat WCW hashtag: We Can Wait.As of this writing, Luke Lango was long FB. More From InvestorPlace * 2 Toxic Pot Stocks You Should Avoid * 10 Oversold Stocks to Run From * 7 Red-Hot E-Commerce Stocks to Consider * 4 Stocks Surging on Earnings Surprises Compare Brokers The post Q1 Earnings Underscore Why Snap Stock Is A Tough Buy Above $10 appeared first on InvestorPlace. In an era when every investor seems to be buying stocks with high returns-on-capital at even higher prices (what is known in the biz as "quality"), it sometimes seems like there's nothing left which offers attractive fundamentals at a bargain price. A place that a young Warren Buffett could only have dreamt of. It's called mainland China's real estate sector. Own a social media stock? The big names reported this week. Here's the short version Snap Inc. Snap's first-quarter earnings release sent the stock flying high after net losses were not as bad as many had expected. Snap beat Wall Street’s Q1 forecasts on Tuesday — so why did shares fall on Wednesday? Snap shares closed down on Wednesday as investors dug further into the company’s Q1 earnings report.